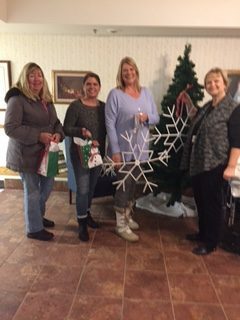 The Cordelian Club presented a set of handmade ornaments to the Jennie B. Richmond Nursing Home in November to decorate its Christmas tree and lobby. The Cordelian Club has a 80+ year history of supporting the hospital, and once it was built in 1974, the nursing home, through fundraisers and charitable projects such as this one. Thank you to this dedicated group of ladies for bringing holiday cheer to our residents and employees!